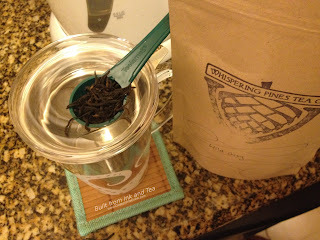 My saga of Earl Grey love continues with Whispering Pines Tea's Wild Grey. Knowing Whsipering Pines Tea, they strive to add their own touch of the wild to whatever they blend, and their Wild Grey is no exception. 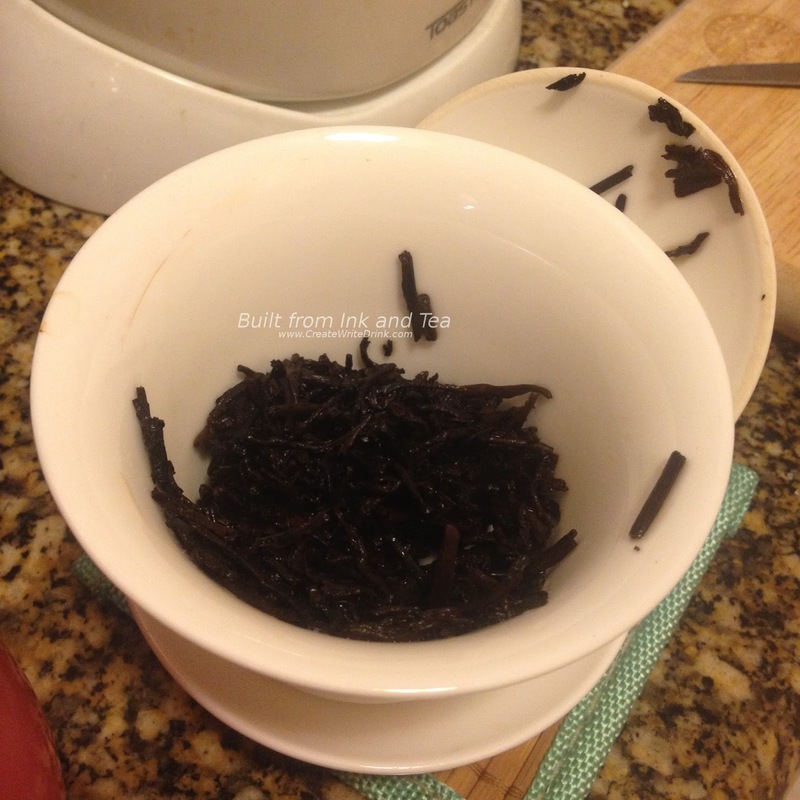 They very specifically selected a wildcrafted (click here for more information on this practice) Dian Hong black tea to form the base. Dian Hong tends toward cocoa and spicy, peppery notes in its flavor profile, an ideal selection for combining with the other main ingredient in Earl Grey: bergamot oil. Brenden of Whispering Pines describes Wild Grey as "very lightly flavored," which should allow the underlying Dian Hong notes to shine through the bergamot. Time to steep and find out! 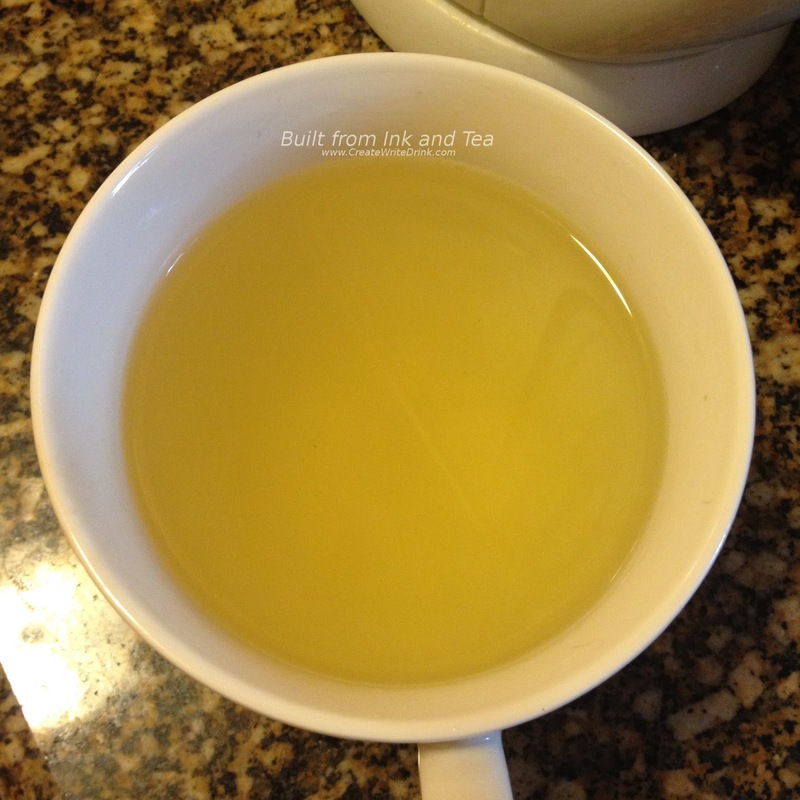 After boiling some fresh water, I steeped one teaspoon of Wild Grey in eight ounces of water for three minutes. Delighted, I read on Whispering Pines' website that a second steep is recommended! 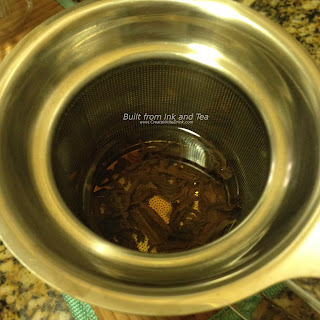 While awaiting my tea, I smelled the dry leaves in the bag and was immediately struck by the intensity of the bergamot. It cuts right through any "noise" and straight to the nostrils with an almost-stinging, but ultimately sweet, aroma of citrus. Fascinated, I continued sniffing and realized that I could already smell the Dian Hong, almost inseparable from the bergamot aromas. The bergamot had this halo of earthy cocoa on its edges - what excellent blending! 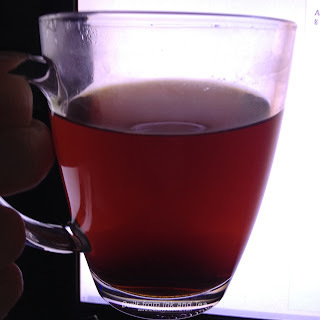 My cup of tea ready to drink, I breathed-in its aroma and sipped slowly. At first, I thought I had the wrong cup of tea. The initial aroma from the cup was that of a deep, cocoa-noted black tea - not Earl Grey. 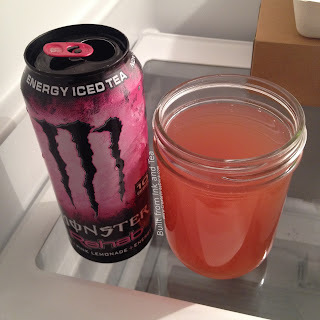 My sip slid over my tongue and was swallowed before I stopped to think about the flavor. It really was quite light on the bergamot. 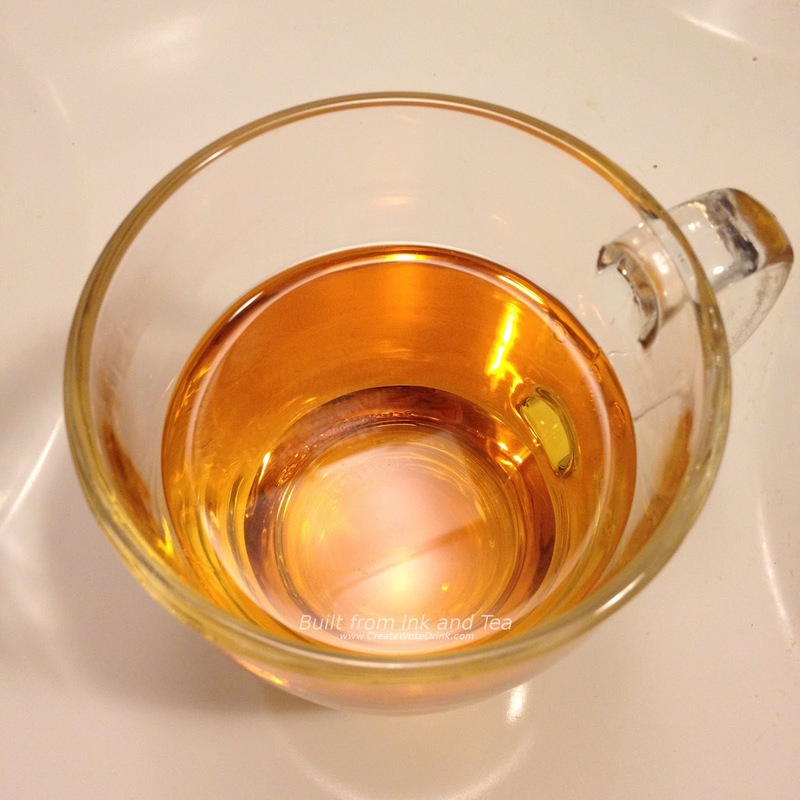 The bergamot was present, but it did not take the forefront as it does in many Earl Grey blends. 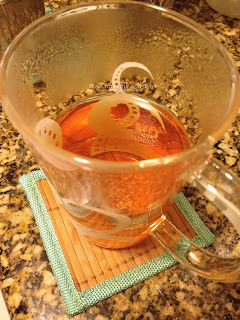 Rather, the citrus notes sat back and complemented the base black tea. They also made an appearance in the aftertaste, which I found interesting, as they hung-on in the back of the throat for some time. By no means should Wild Grey be underestimated. The cup brewed here is not your typical Earl Grey blend. Rather than focusing on the bergamot, it instead frames the underlying black tea, the Dian Hong, as the hero of this cup, putting it forth and elevating it for the pleasure of the drinker. Alongside this Dian Hong comes bergamot oil to provide some citrus without being overbearing - just the right amount. 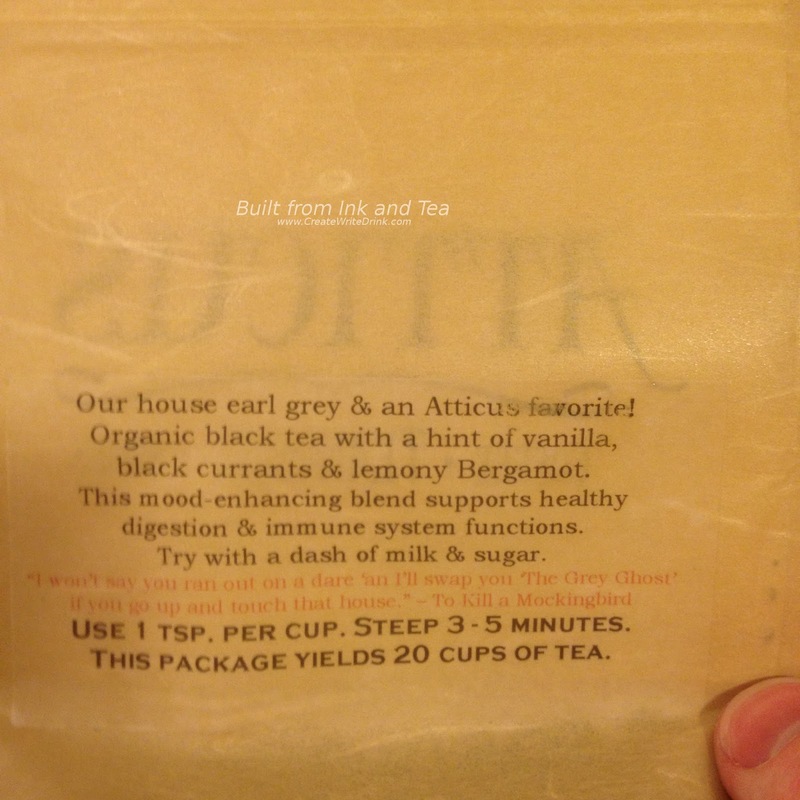 If bergamot in Earl Grey tends to be too overwhelming for you, or you just want less of it, I highly recommend Wild Grey. On my personal enjoyment scale, I would rate this tea a 5. Whispering Pines Tea's Wild Grey black tea is available from their website, here. Today's review covers Republic of Tea's Pumpkin Spice black tea, an autumn seasonal blend. Sounds like the ideal tea with which to caffeinate after a Thanksgiving meal! 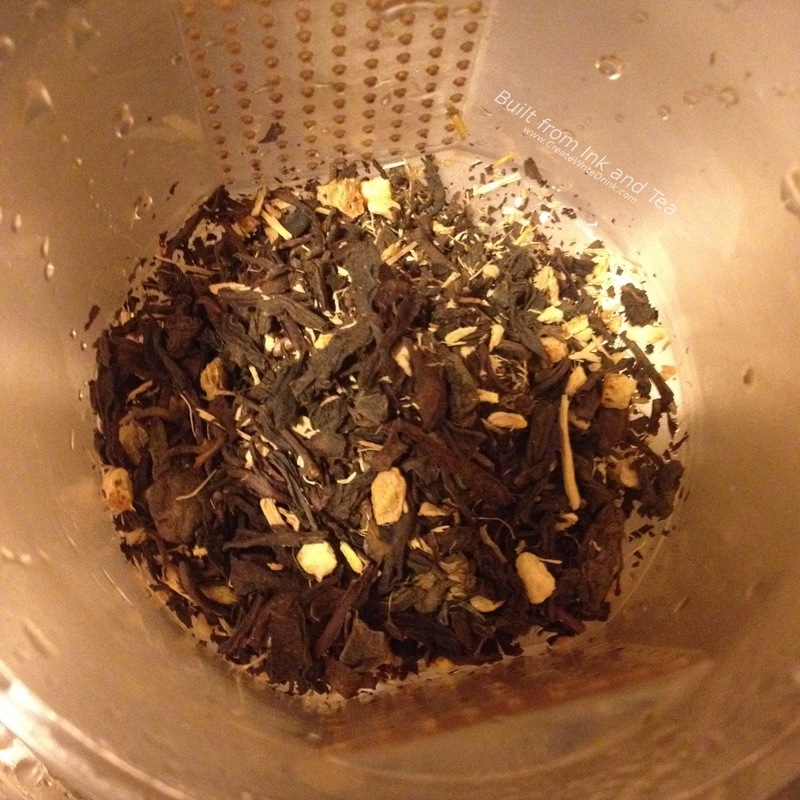 Blended with the black tea is ginger, cinnamon, pumpkin flavor, sweet blackberry leaves, nutmeg, cloves, and allspice - quite the assortment of spices all in one. 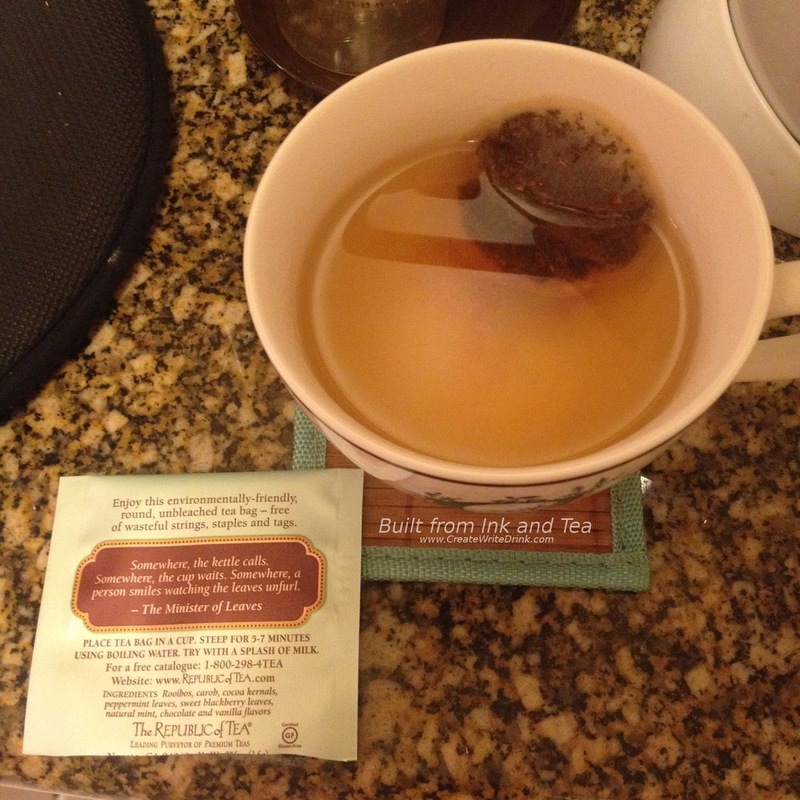 Subsequently, the aroma of the dry teabags has a heady intensity. That many spices all together instantly invade the nose at the slightest sniff. But they do smell really good. 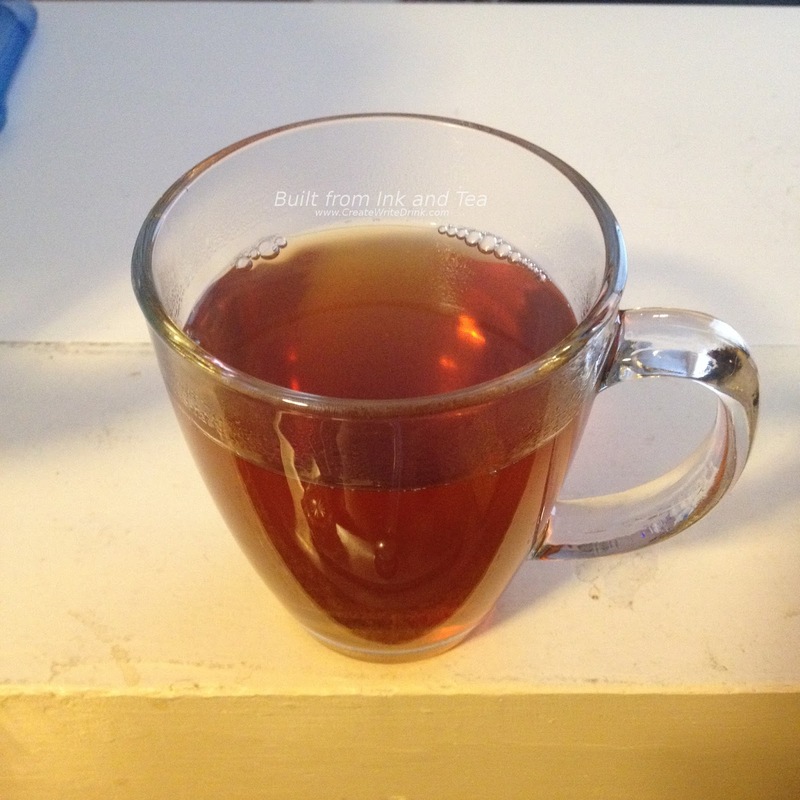 Five minutes of steeping a teabag in eight ounces of just-boiled water, and I have a cup of tea that smells rather mellow compared to the teabag. My guess is that the hot water tones down the intensity of the spices rather substantially. Notes of pumpkin are pleasantly sweet and noticeable - providing a great balanced aroma that lives up to the name of the blend. 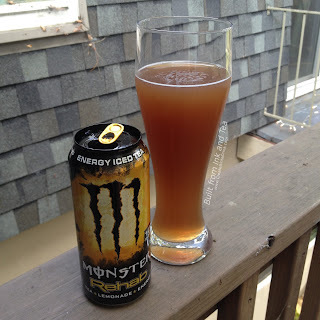 My first sip underwhelms me. For a five minute steep, I was expecting something a bit stronger. 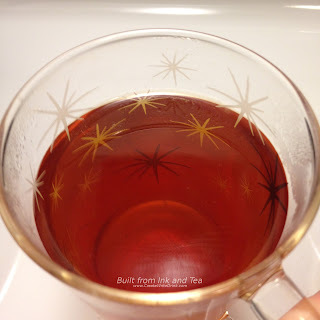 The cup is tasty, and the spices and pumpkin blend together well. However, the overall flavor seems slightly weak or watery, and I can taste a bitter note on the backend, which might come from one of the spices involved. 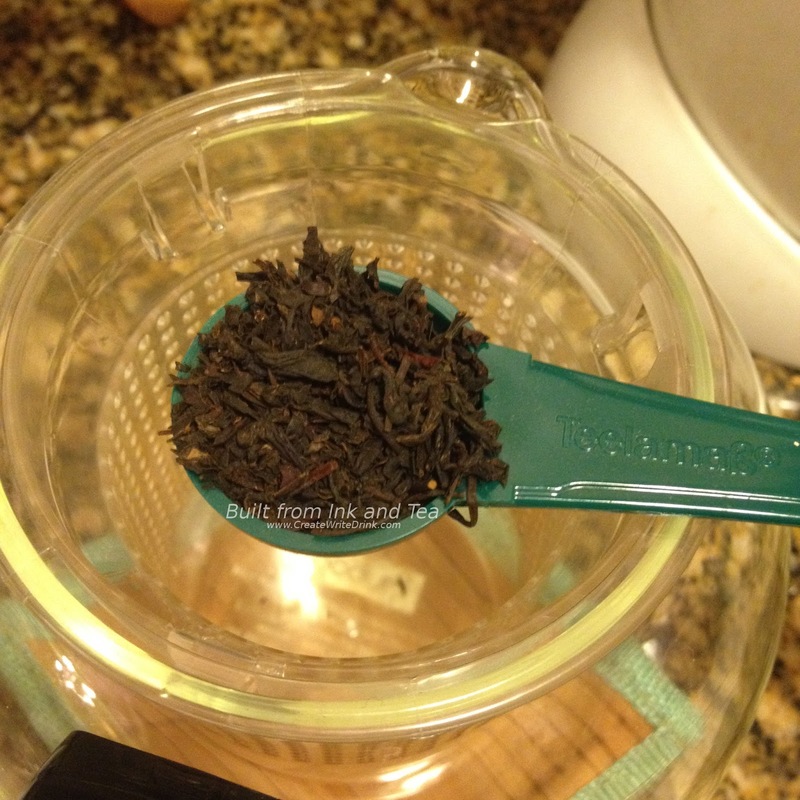 The black tea does present a good base and harmonizes well with the other ingredients. 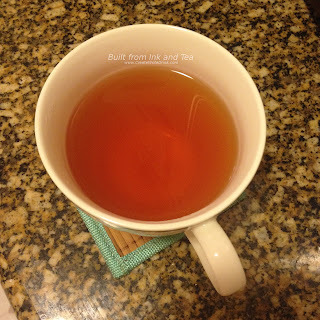 While I did find this tea to be tasty, it was not all that I wanted, nor was it all that it could have been. If you come across it, I do recommend trying it; it might fit your palate! 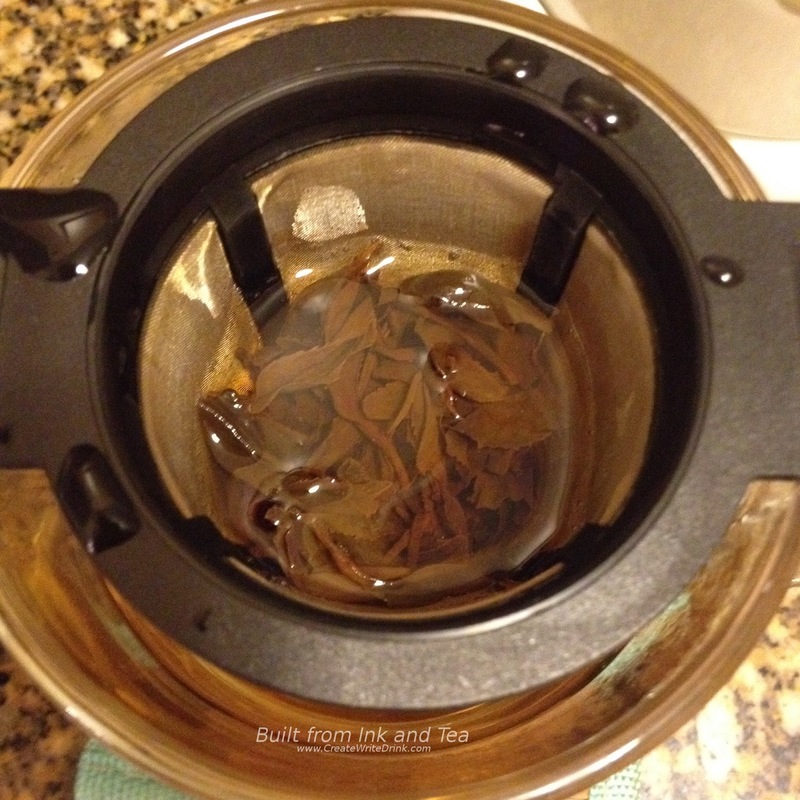 Otherwise, look elsewhere for your pumpkin tea fix, this fall. On my personal enjoyment scale, I would rate this tea a 3. 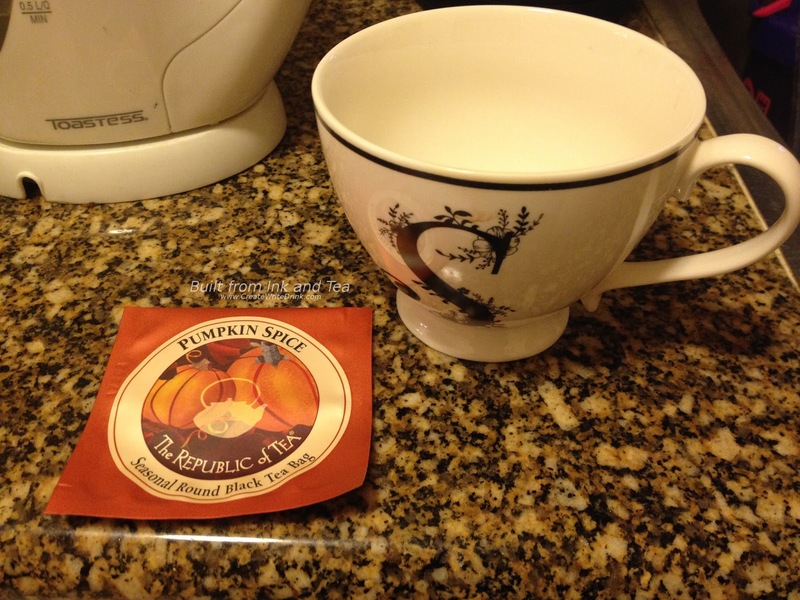 Republic of Tea's Pumpkin Spice Black Tea is available from their website, here. On this Tuesday morning, we felt we needed a boost to our brainpower (lots of work to finish before the holiday, here in the United States! ), so our tea to review was Brain Boost SuperGreen Tea Bags from Republic of Tea. Combining ginko biloba and black currant with a blend of matcha and green tea, this tea was designed to benefit the mind and the body in one tasty cup. 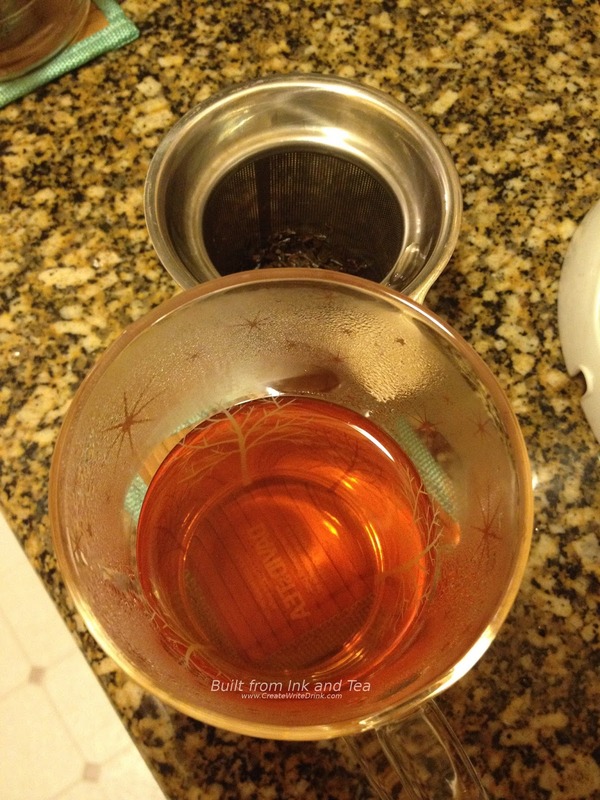 I steeped a single tea bag in eight ounces of water for three minutes. The water had been boiled and then let cool for about ten minutes. 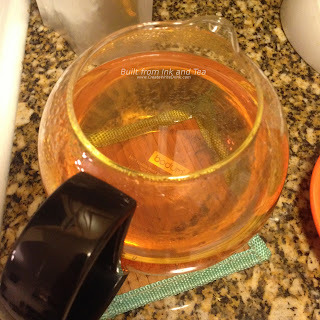 You can also follow Republic of Tea's recommendation for water "just short of boiling," but I like to let my water fully boil and then cool from there. The dry teabags smell heavily of black currant, a sharp and sweet aroma that really dominates the scent. 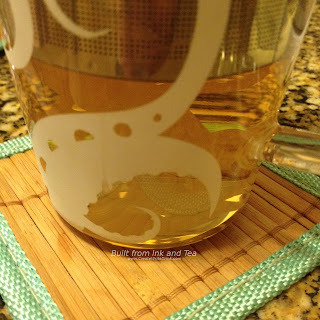 Steeped, the tea smells much more subdued, an even blend of the black currant, some green tea, and what I assume is ginko biloba (a faint herbal aroma). Unlike the smell, this tea does not taste subdued. My first sip is a juicy hit of black currant. Whereas the black currant had smelled sharp and almost bitter, the flavor was smooth and sweet. There are some herbal notes in the flavor from the ginko biloba, but they are minor. The green tea is pleasant, though not strong, mostly providing background notes of flavor. 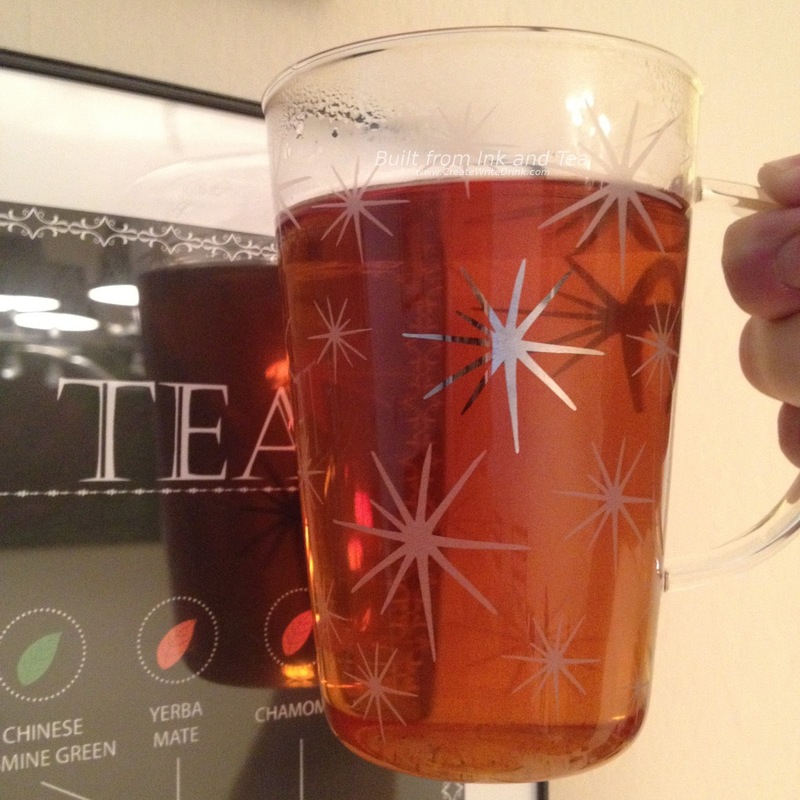 On my personal enjoyment scale, I would rate this tea a 4. This could be a great daily-drinking tea for someone who wants a bit of fruity fun and a green tea to have on a regular basis. The flavor certainly does not get old! Republic of Tea's Brain Boost Green Tea is available from their website, here. At the 2016 San Francisco International Tea Festival, I had the distinct pleasure of meeting the folks from Sugimoto America, who were sampling a number of Japanese green teas. Not only did I have great conversations with them and get to try their teas, I also received a great lesson in proper matcha whisking technique. It truly is a skill that requires practice! From the festival, I received a sample of their Sen Cha in TeaPac (teabag). Containing their Fukamushi/Steamed sencha from Japan, these sachets are designed to keep the tea as fresh as possible, while also allowing for improved steeping (versus normal teabags). The aroma of the dry leaves, even from within the sachet, smells clean and fresh. Intensely vegetal, some of the roasted aspect also come across before steeping. 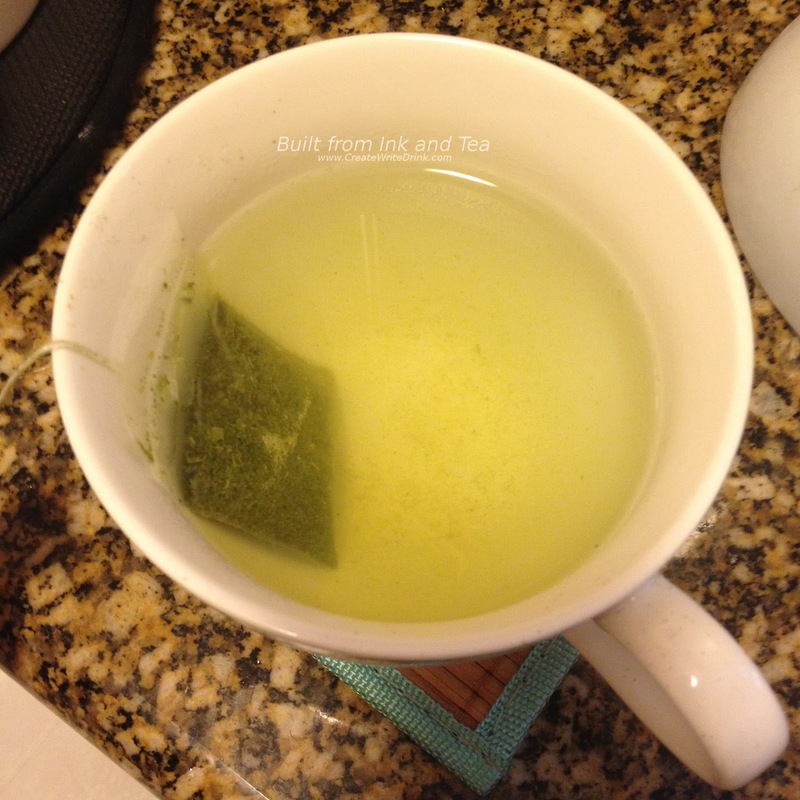 As recommended, I steep the sachet in eight ounces of water that has been boiled and then left to cool for five minutes. 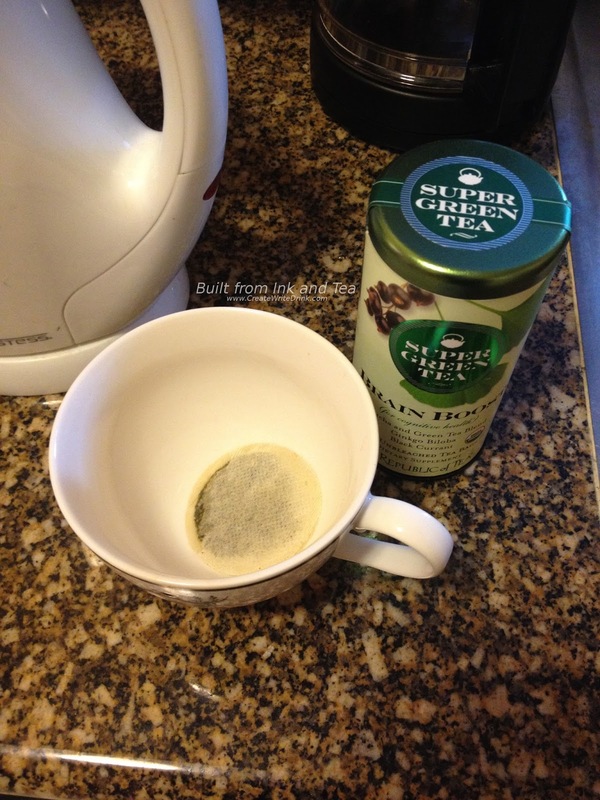 The recommended sixty second steep time surprises me, but I give it a try. 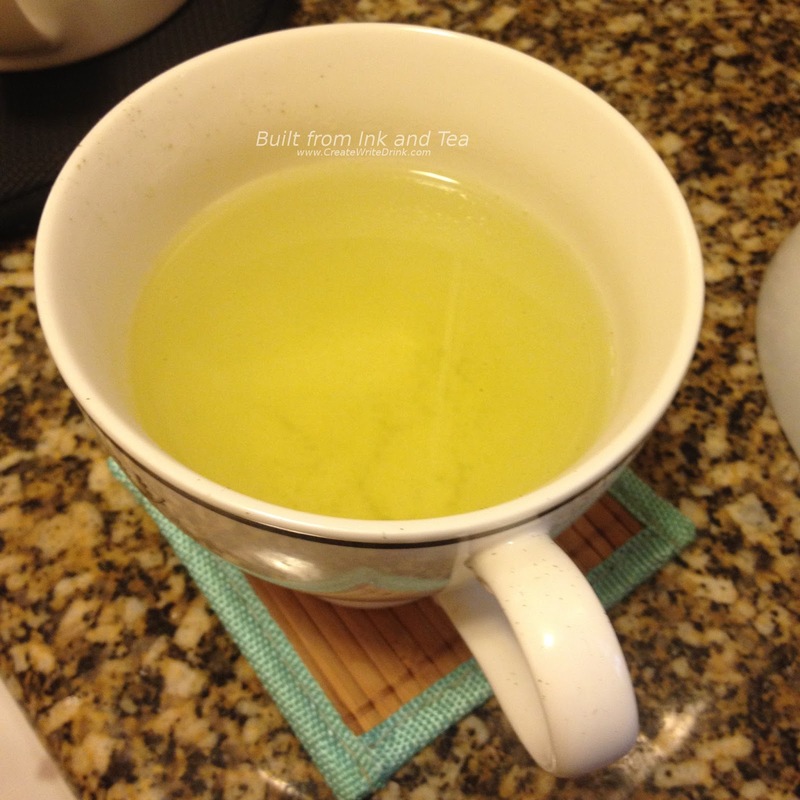 The scent from the resulting cup is not as strong as I would expect from a sencha, but it does have really pleasant, green notes that verge on floral. 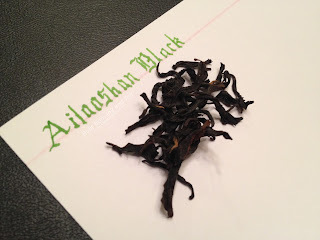 The first sip reveals far more roasted notes than I would have expected, given the aroma of both the dry leaf and steeped tea! Flavors are light, but the delicate aspects really seem to shine with the short steep. 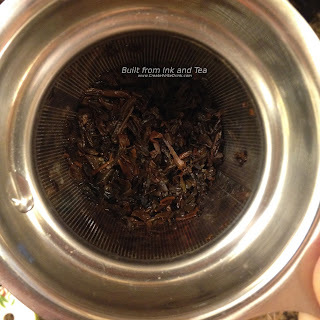 The roasting really brings forth a richness in the flavor that fills-in the body of the tea quite well. This richness carries into the aftertaste, which lingers on the tongue for some time - an aspect I found to be really pleasant! On my personal enjoyment scale, I would rate this tea a 5. 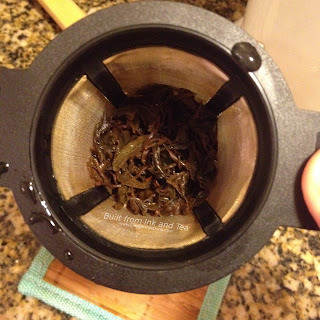 It really embodies one of the best sencha I have ever tried, and the price is fairly accessible for such a quality tea. From their website, you can also get the same tea in loose leaf, rather than sachets, which increases the value in my opinion. Sugimoto America's Sen Cha is available from their website, here. This past weekend, I attended the San Francisco International Tea Festival and had an absolutely amazing time. I spoke with some great vendors, worked with some fantastic volunteers, experienced some tasty food, and - of course - drank some amazing tea. While I was there, I had great conversations with all the ladies, who were faithfully working the Republic of Tea booth, representing the brand and pouring sample after sample of their teas. Thank you so much to all, who made this festival wonderful. 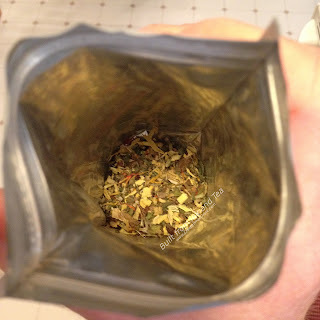 Today's review was actually not one of the teas I sampled at the Republic of Tea booth, rather it came in the "goodie bag" that all festival attendees received. I tasted this for the first time on Sunday night, after returning home from the show, and I knew that I had to make it the star of this week's Tea Review Tuesday. 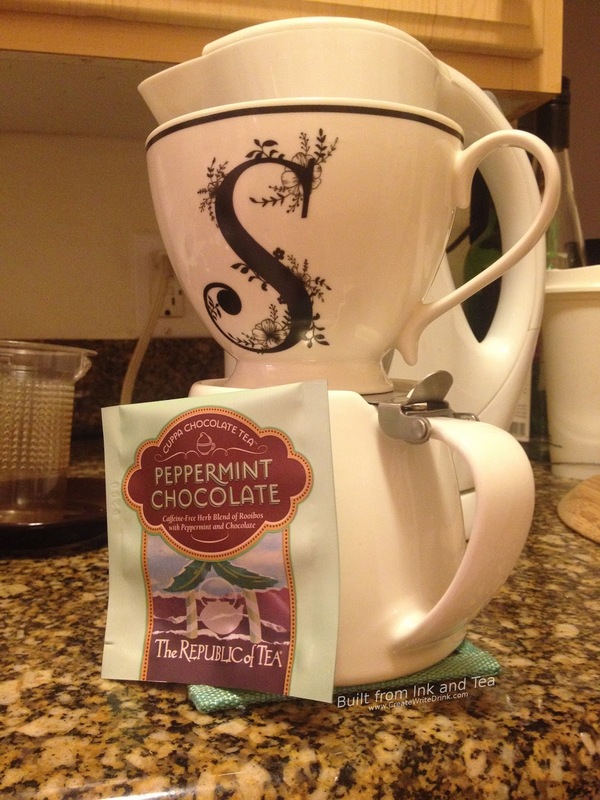 As a part of Republic of Tea's "Cuppa Chocolate Tea" assortment, Peppermint Chocolate offers a caffeine- and calorie-free cup of sweetness, bringing the taste of a liquid dessert and plenty of antioxidants! To brew, I used one cup of just-boiled water, along with one teabag, then let it steep for somewhere past seven minutes. Republic of Tea recommends five to seven minutes, but since rooibos cannot be oversteeped, and I like my herbal teas to be strong, the extra steep time did it no harm. This blend contains a surprising number of ingredients, but they all boil down (no pun intended) to rooibos, chocolate, mint, and some sweetness. The first aroma I notice is rich, decadent cocoa, which is very immediately followed by the sharpness of mint. 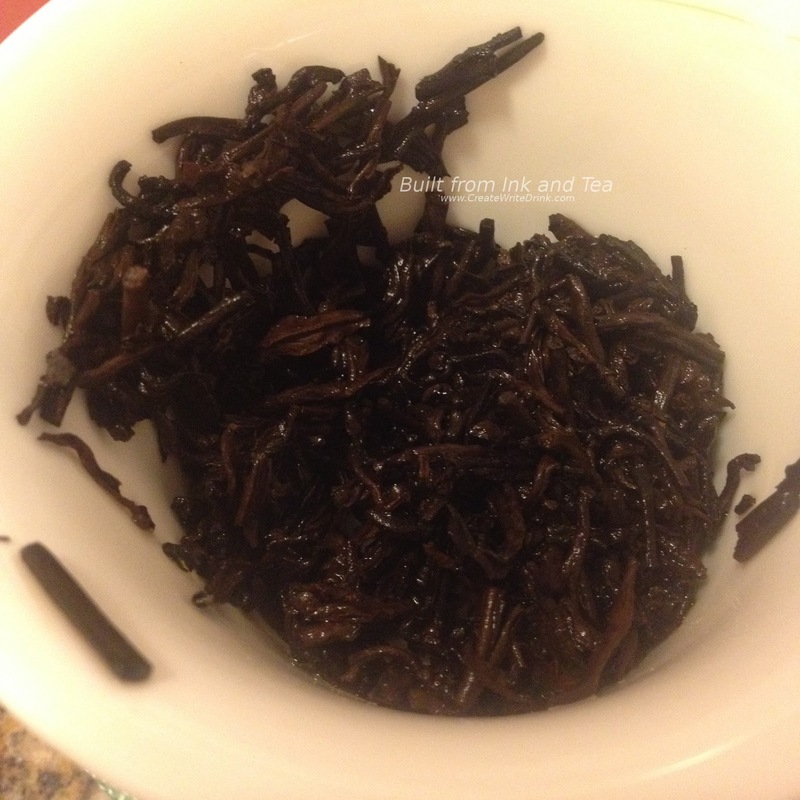 Though the blend does not contain it, there is a faint smell that reminds me of chicory. Interestingly, the blend does contain carob, which is often used as an alternative to cocoa powder, in addition to cocoa kernals. Providing a lovely background and base for the other flavors is the rooibos. My first sip immediately reminds me of a chocolate peppermint candy, and it is sweet. However, what I find to be really refreshing is that the sweetness does not taste like processed sugar, more like a natural sweetness, which I suppose comes from one of the ingredients. The flavors are really not complex, nor do they need to be. Peppermint chocolate is the tea's goal, and peppermint chocolate is how it tastes! 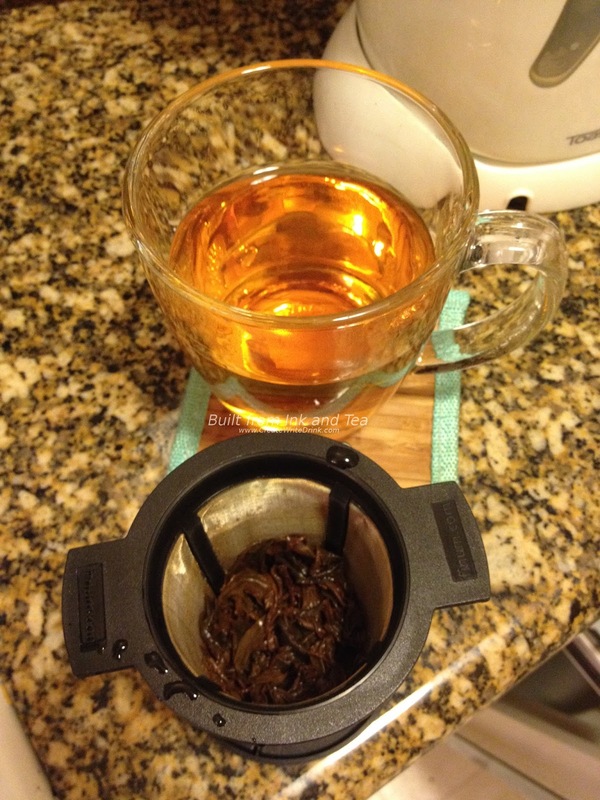 On my personal enjoyment scale, I would rate this rooibos blend a 4. I think it is a regular, and not seasonal, offering. Therefore, hopefully, it will remain available for some time. If you like mint or chocolate, give it a try! If you do not care for rooibos, I still recommend trying this, as the rooibos flavors are not prominent at all. 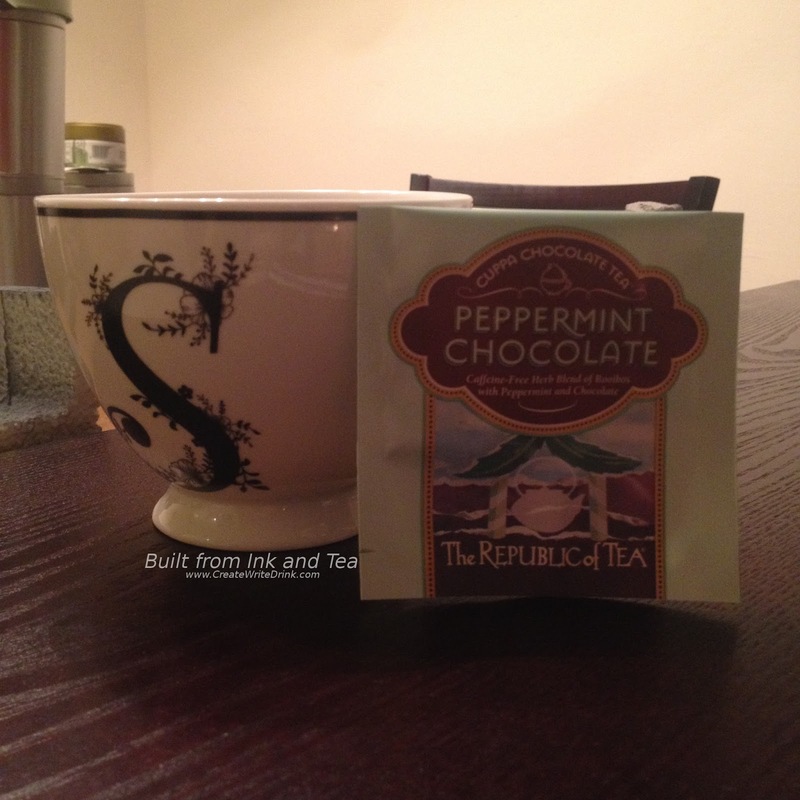 Republic of Tea's Peppermint Chocolate Rooibos is available from their website, here. 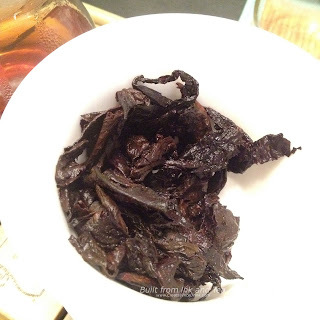 I regularly sample and look at pu'erh, both young and old, raw and ripe, but rarely do I have the pleasure of tasting a pu'erh that comes to me looking like this! Dry, the leaves do not release much aroma. While I hesitate to make any judgments based on this, I do wonder if the storage has managed to remove some of the richness from the smell of the leaf. 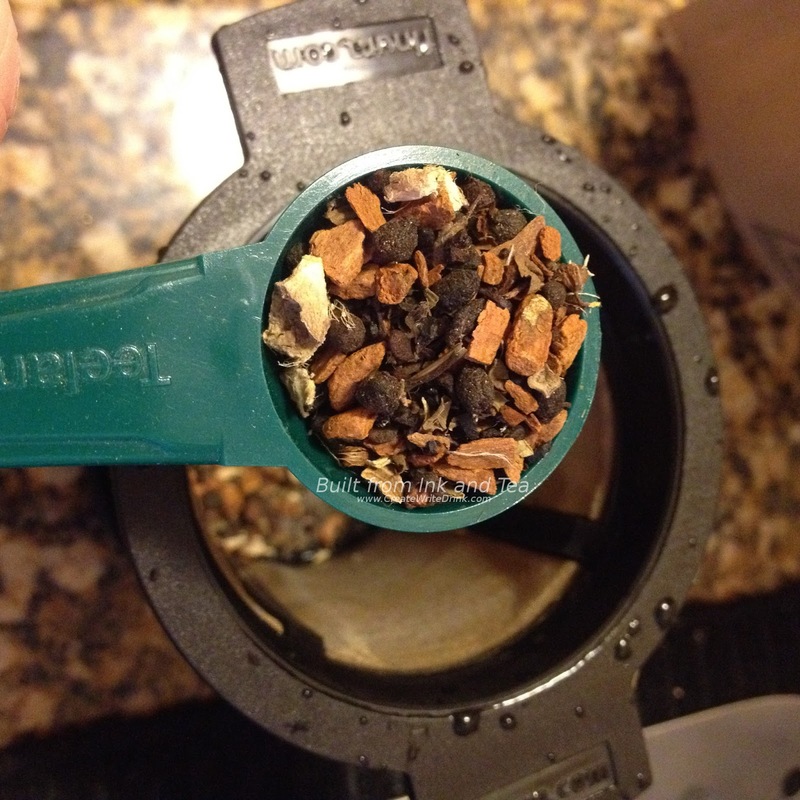 The rinse of the leaves causes them to share much more of their rich aroma. 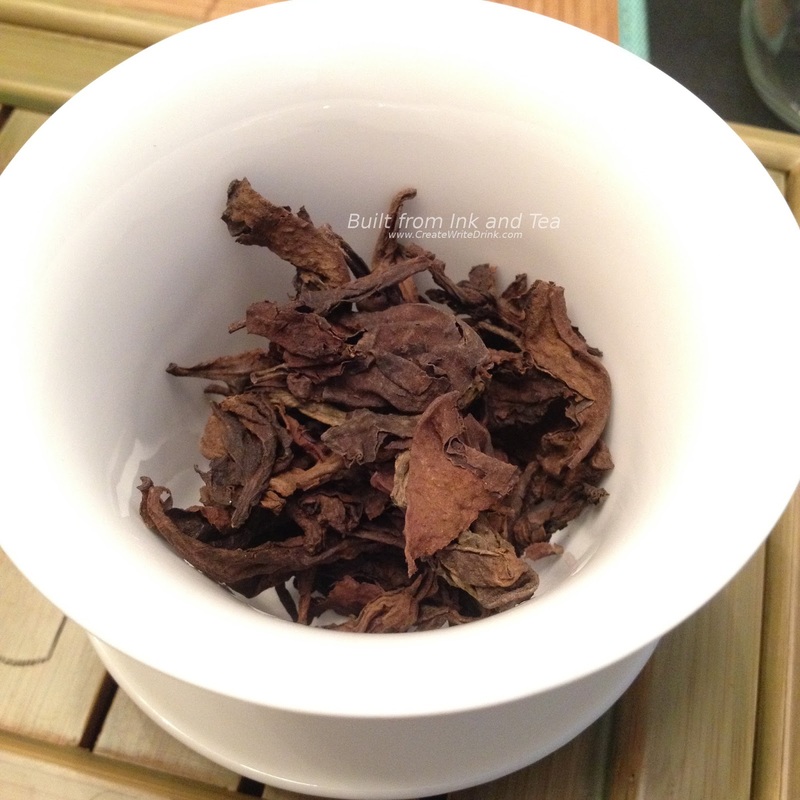 Comparatively, though, I would still say that the smell is not as strong as one tends to find from some younger shou pu'erh. The earthy tones have truly mellowed. Most noticeable are bright notes, like greenery on the forest floor. 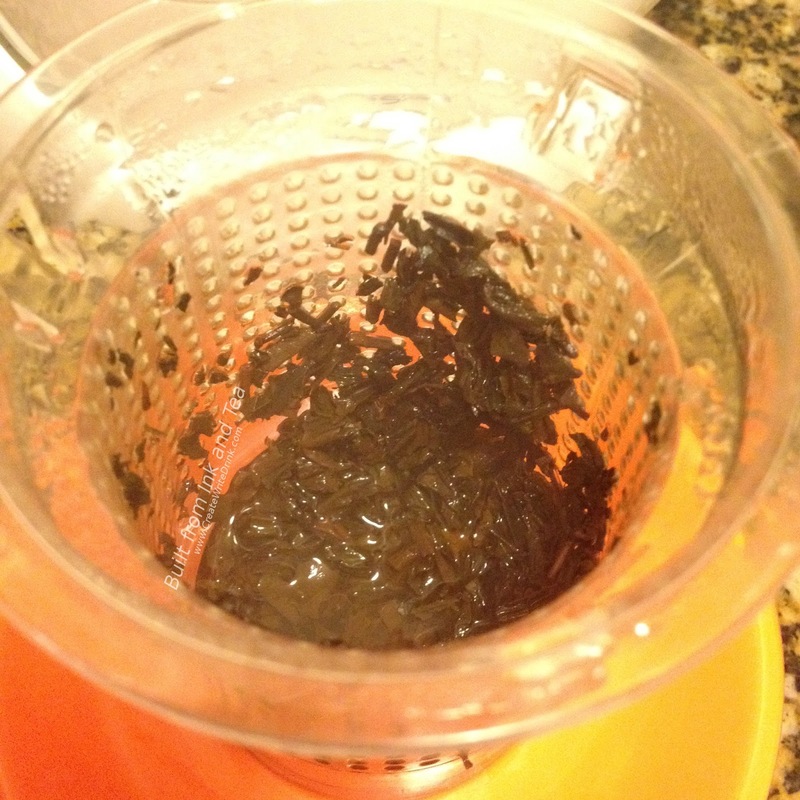 Twenty second infusions with just boiled water provide the first five steepings of Shen Qi. 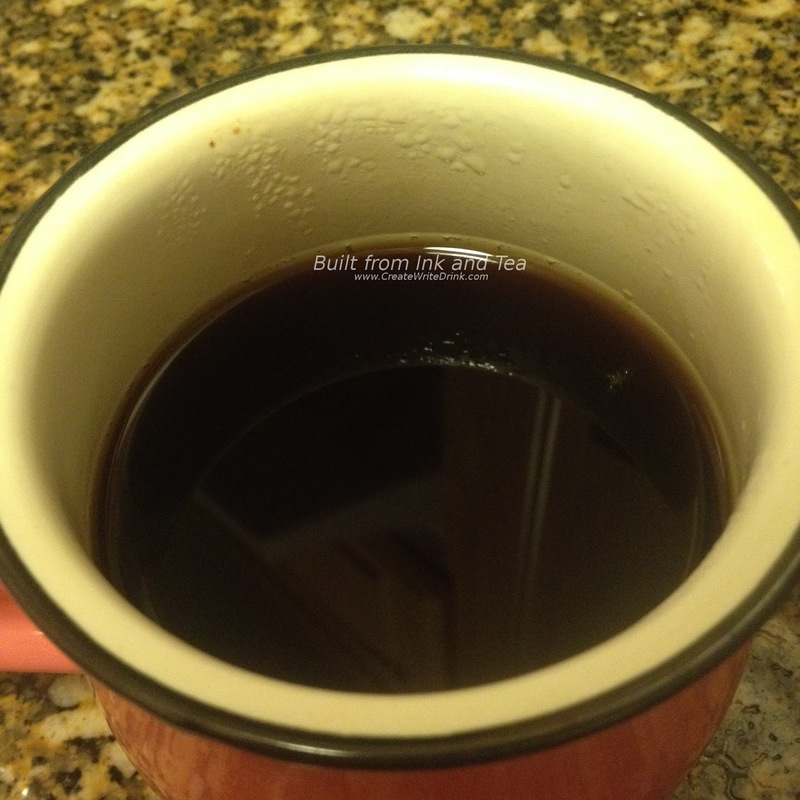 Cups release aromas of soft and just-slightly sweet dampness, almost-barely touched by the smallest of sour tinges. The flavors of dark earth and mushrooms, rich and a bit nutty, layer in the cups. 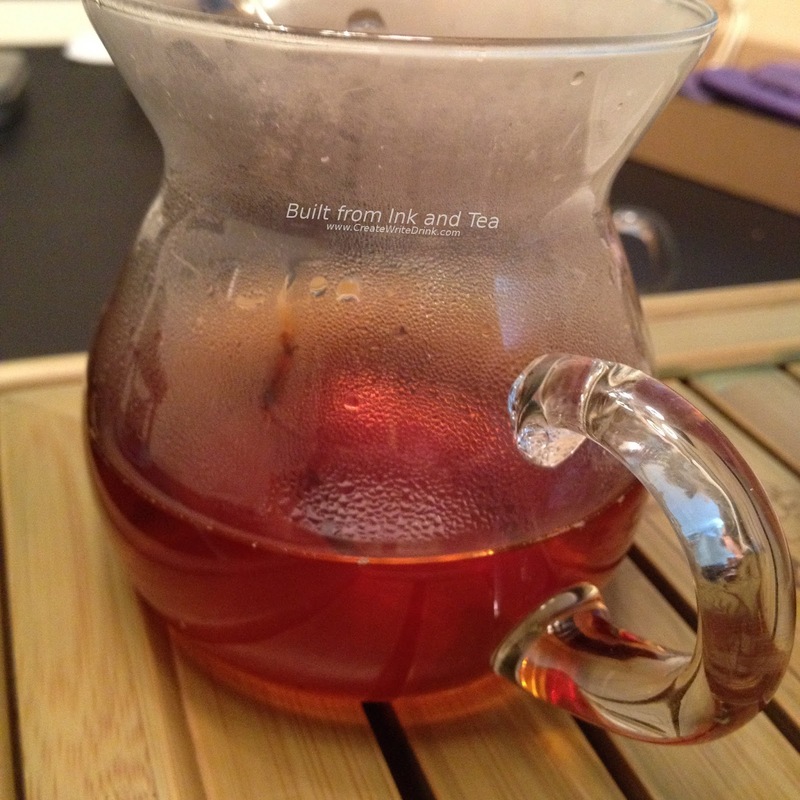 Mellow is a great descriptor, here, because I can taste the complexity in the tea. What I mean is that the cup tastes very soft, not intense and in my face. Once might reason that this is due to me having brewed a weak cup of pu'erh or the tea not having a lot of strength to it. 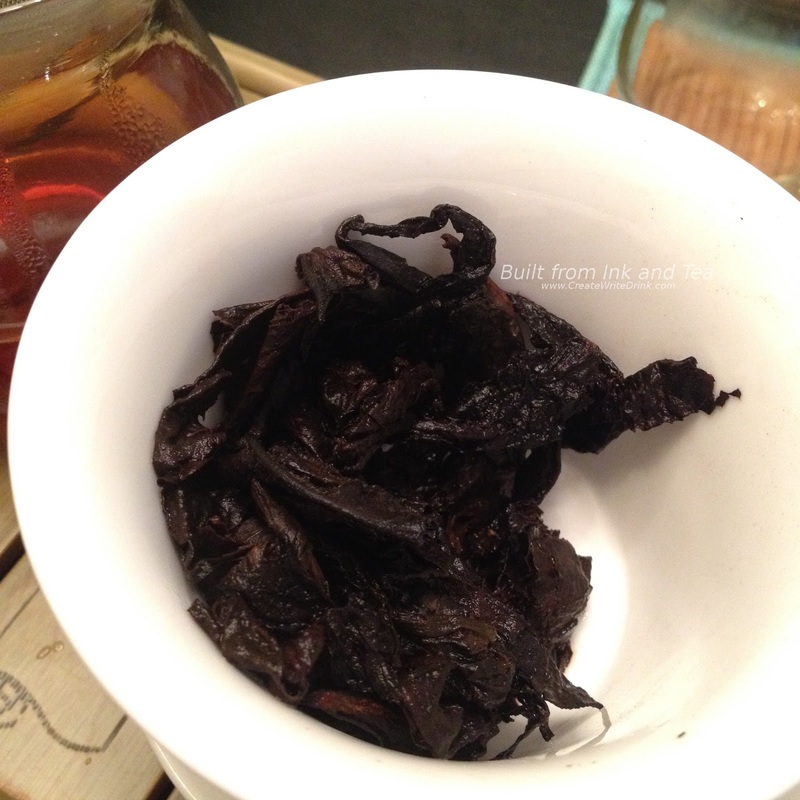 But, having tasted a few other shou pu'erh of this age, I think it is that case that things have toned-down with time. Deep, dark, forest flavors are not going to roar through the cup. Rather, they are going to sinuously fill every aspect of each sip. If you happen to find yourself in the Ashland, Oregon area, I recommend stopping at Dobra Tea to try their Shen Qi Old Tree pu'erh. To my knowledge, it is not one that they sell online. 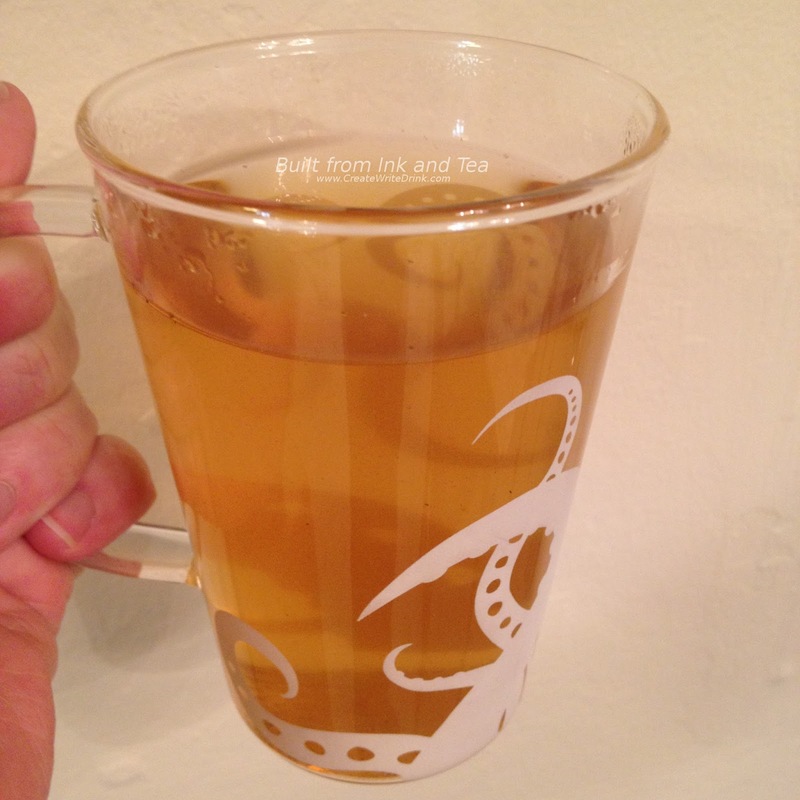 On my personal enjoyment scale, I would rate this tea a 4. 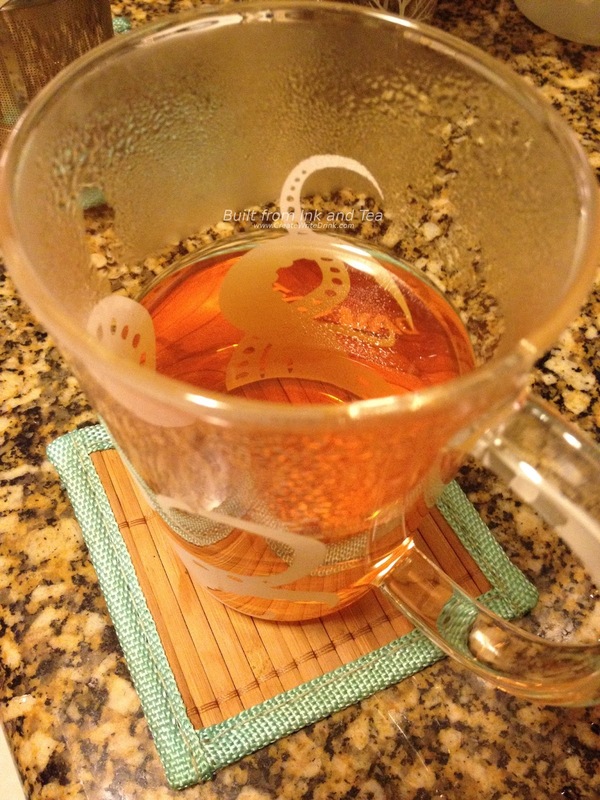 Special thanks to my dear friend, who brought me this tea. You can learn more about Dobra Tea in Ashland, Oregon from their website, here. Looking for some tea, coffee, or used books in Park City, Utah? Look no father than Atticus, a lovely spot along Lower Main Street. 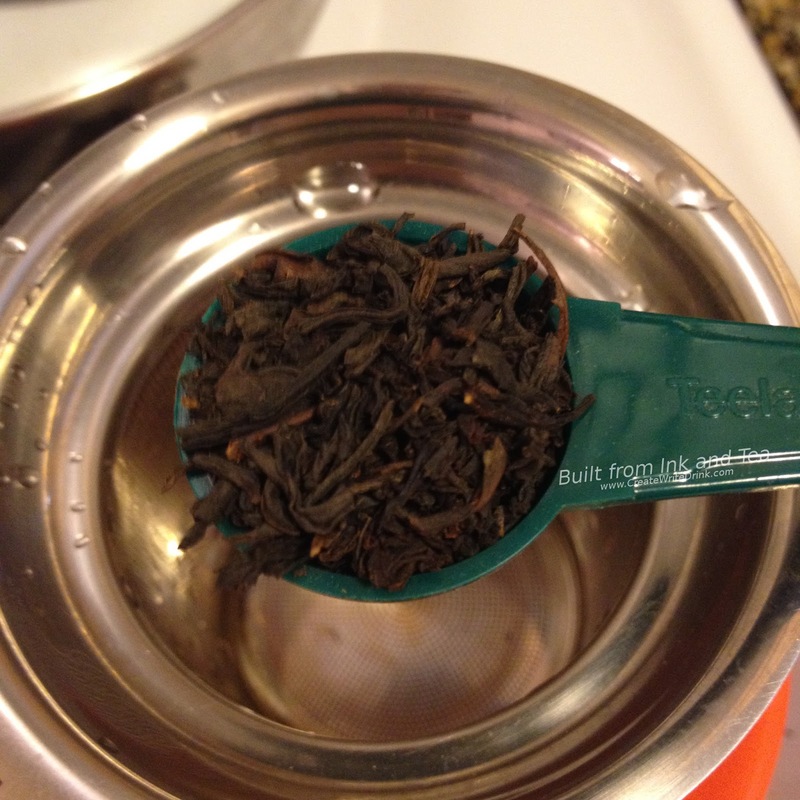 Our tea today comes from their shop and is an Earl Grey variant - yum! 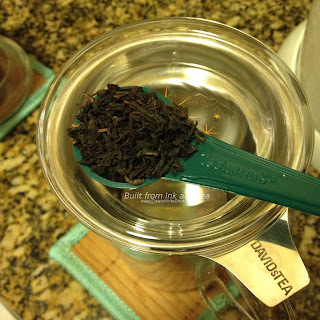 Atticus has added some vanilla and black currant to the standard Bergamot-enhanced black tea for a blend inspired by To Kill A Mockingbird. 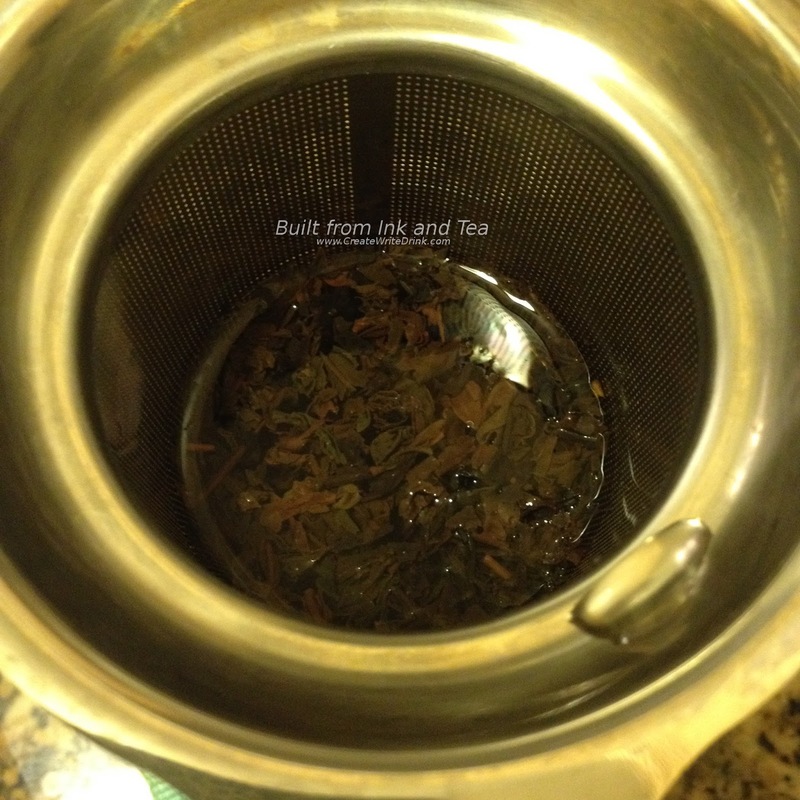 We brewed a mug of this blend with twelve ounces of just-boiled water, a teaspoon and a half of tea, and four minutes. 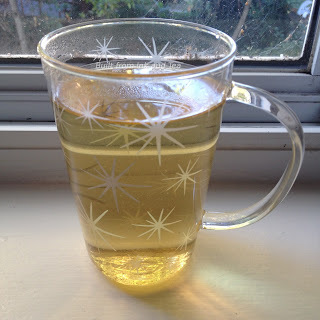 The hot water soaking into the leaves released delicious smells - vanilla and the citrus-y Bergamot combining in a sweet, tangy aroma that wafted pleasantly from the cup. Really, it was toned down quite a bit from the very, very intense smell of the lemon-y Bergamot on the dry leaves. The flavors that wash over the tongue with each sip are smooth and very citrus-y. The vanilla provides a sweetness that is more background than anything else, a nice touch that probably increases the sweetness. The black currant puts some bite into the finish. While the fruit is not super noticeable, it definitely adds another dimension to the Earl Grey! On my personal enjoyment scale, I would rate this tea a 5. I really enjoyed the additions that Atticus made to the base Earl Grey. 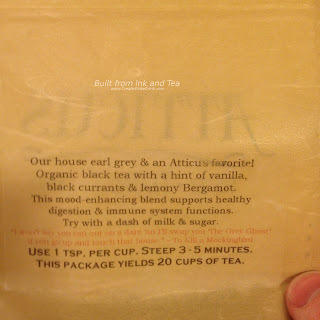 However, this tea is rather special and can only be purchased from the Atticus Coffee, Books, & Teahouse in Park City, Utah. 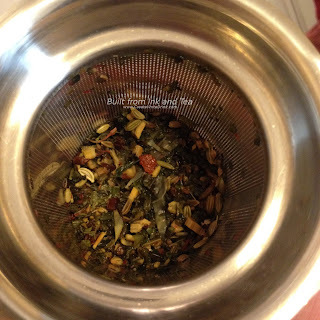 They have over seventy other loose leaf teas to try, too. For more information, visit the link below. Atticus' The Grey Ghost is only available from their store in Park City, Utah. Visit their website, here. While I may be in the minority, I rather enjoy black licorice candy. So, when I saw an herbal blend with inspirations of black licorice, I knew I had to try it. 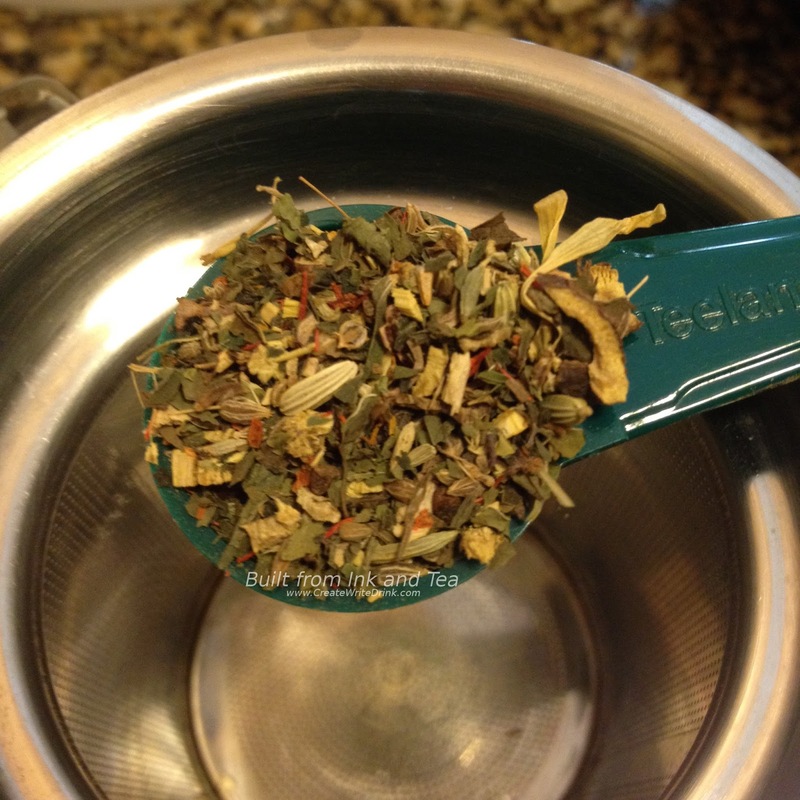 However, Licorice Twist from DavidsTea has a lot more than just anise and licorice root, combining such herbs and fruit as nana mint, fennel, cocoa bits, pineapple, ginger, peppermint, and more! 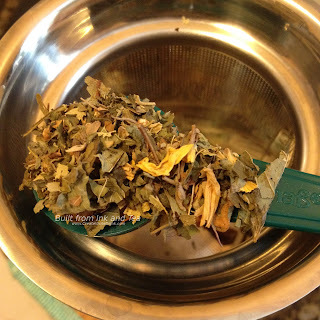 I really enjoy when herbal blends can be steeped for a long time, bringing out a lot of flavors, without growing bitter. Licorice Twist is no exception, and I used the upper end of the recommended steep time (four to seven minutes), steeping my tea for the full seven minutes (maybe a bit more). 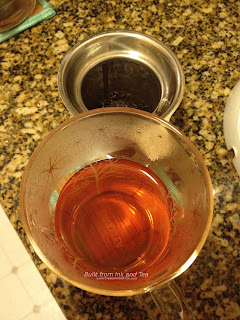 I steeped two teaspoons of the mix in twelve ounces of just-boiled water. 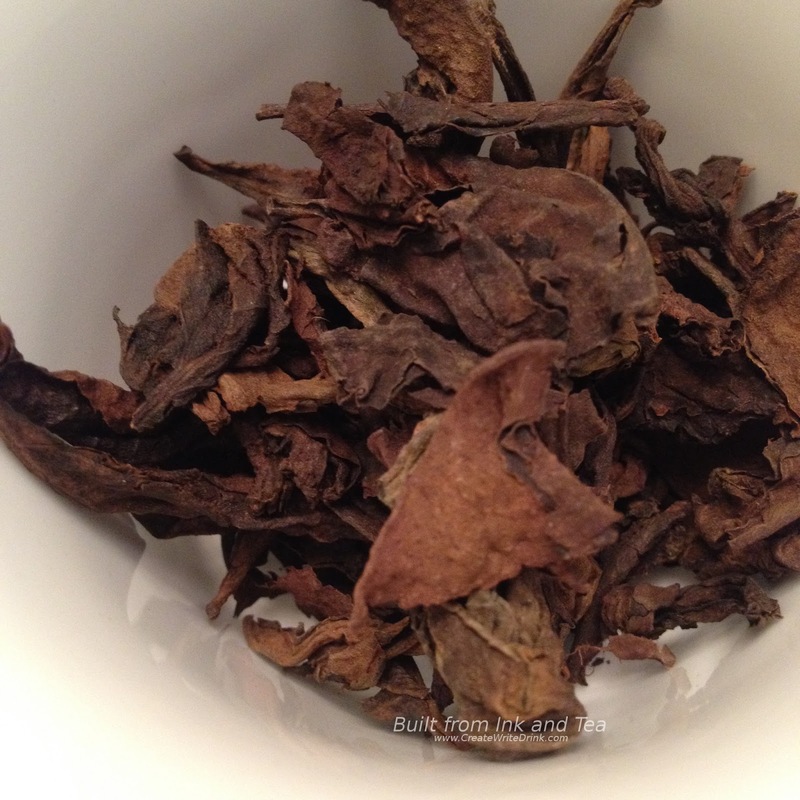 The aromas coming from the dry leaves are an incredible mixture of sweet and spicy with a really intense smell. 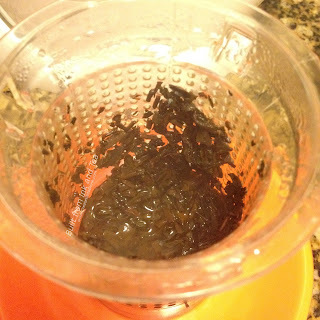 Steeping the mixture tones down the intense aromas a bit. Some of the sweetness has diminished, as well as some of the spiciness. My first sip reveals that the sweetness was only hiding. 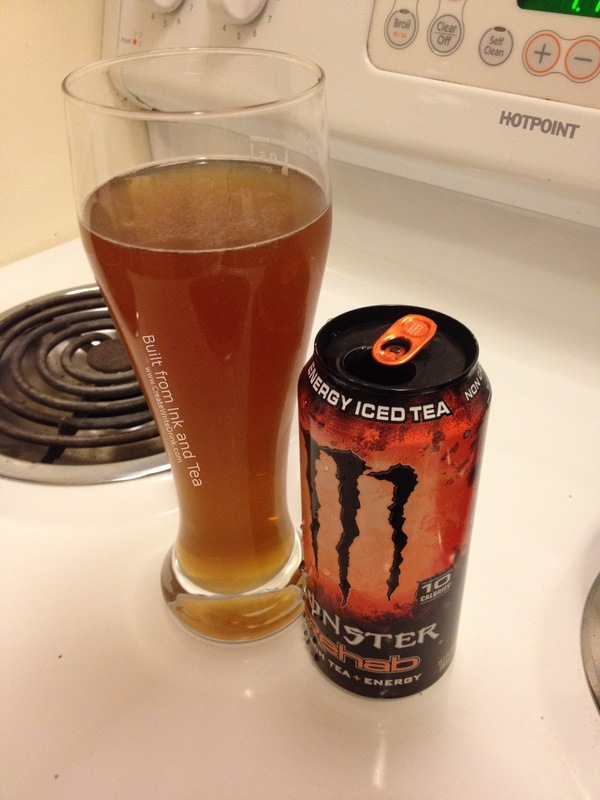 The taste is a complex blend, light on flavor but with definitive sweet notes and a spicy bite in the aftertaste. I would not describe the overall taste as "black licorice," rather I would say that the black licorice flavors are enhanced by a number of other herbs and spices. 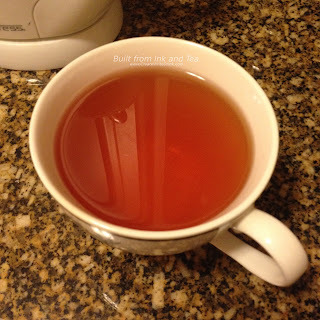 Even served hot, this tisane refreshes me like a cool drink of water. Mint teas sometimes seem to me to be heavy, but the mint in this blend adds to an already uplifting flavor. On my personal enjoyment scale, I would rate this tea a 5. Earlier today, I drank some that had been chilled, and it was quite tasty. 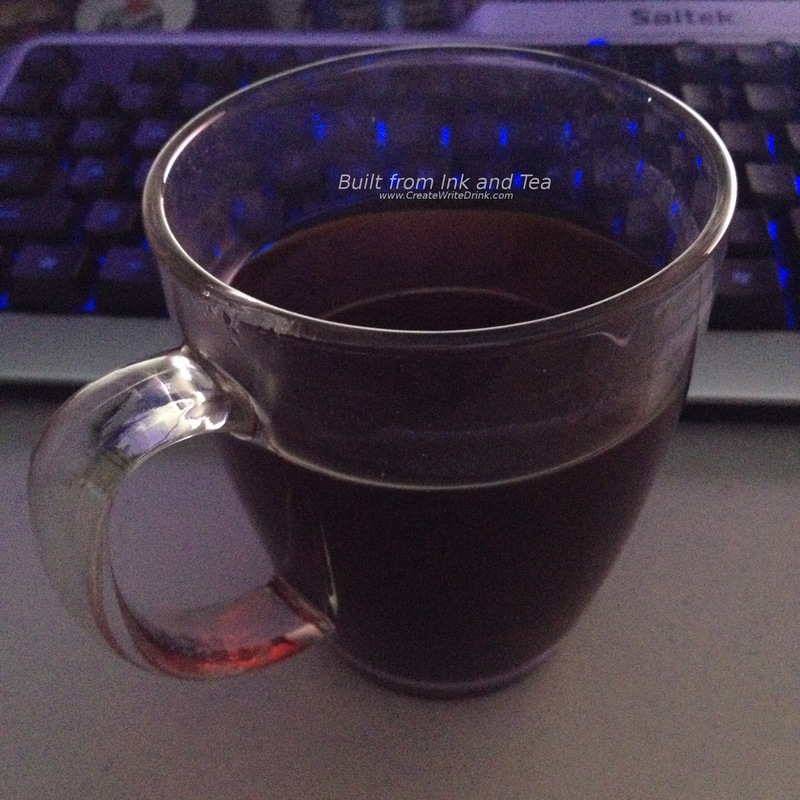 Over the past few days, I have been really enjoying every cup of this that I drink. 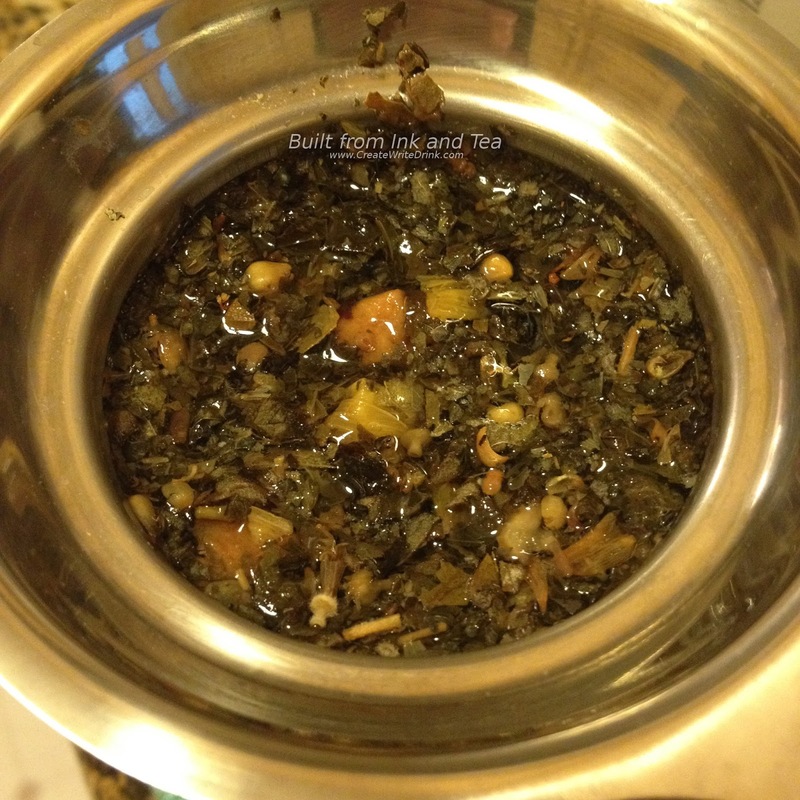 Unfortunately, I picked up this sample some time back, and it is no longer available from the DavidsTea website. DavidsTea's Licorice Twist is no longer available.